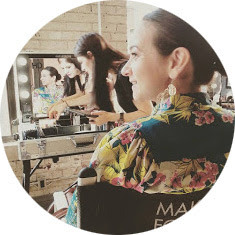 At day four of Toronto Fashion Week, we see a pop of colour backstage at the Hayley Elsaesser show. Which is not surprising as fashion designer Hayley Elsaesser doesn't do boring ever! Bold colourful prints are her trademark so of course the makeup palette had to be daring. 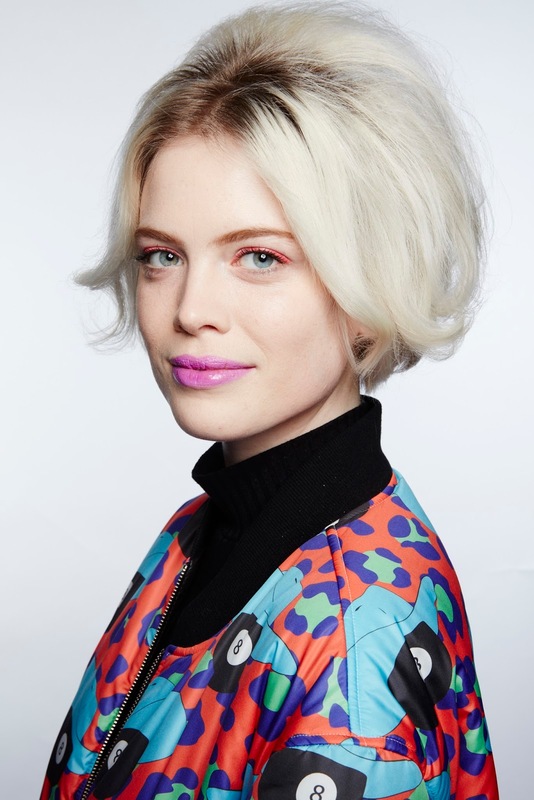 Maybelline Canada's lead makeup artist, Grace Lee creates a 1960's mod vibe; a sweep of orange on the eyes and violet toned lips aren't for the faint at heart. The face is kept natural and bare, instead the focus is on the eyes. On the lids; a base is created using Eyestudio Lasting Drama Waterproof Gel Pencil in shade cashmere white. 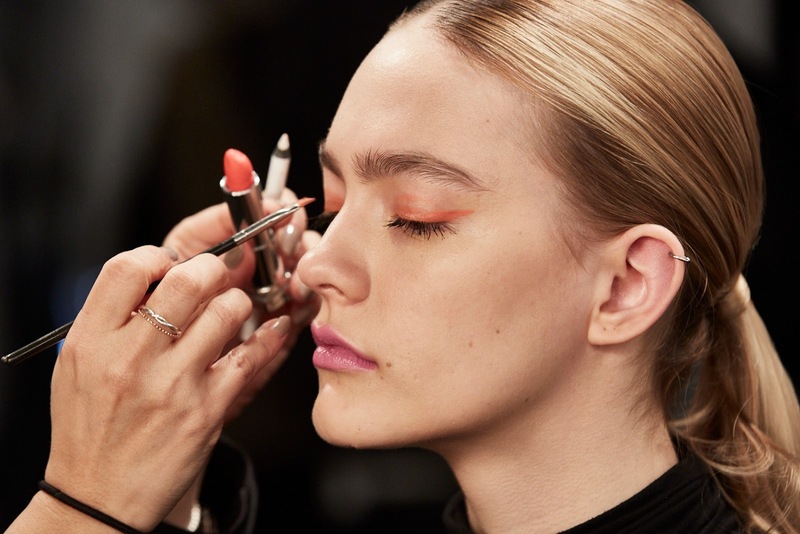 A neon orange lipstick, Colour Sensational Vivids in shade vibrant mandarin is placed on top of the gel pencil. On the lashes, The Colossal Spider Effect Mascara. At the Rudsak show, it's mid-winter and the sun hasn't been out. A pale, natural face is paired with a deep purple lip. 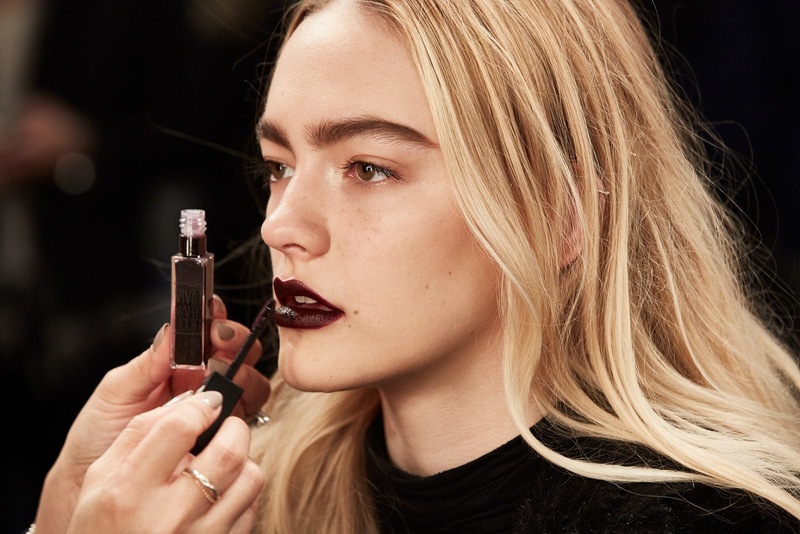 As seen in a few other shows this week, the dark lip is back. I love that this is such an easy no fuss look. 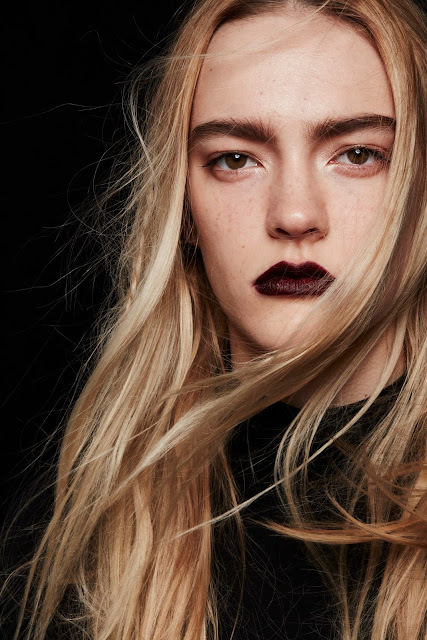 Really, all you need is a deep dark lipstick and you're set for Fall. 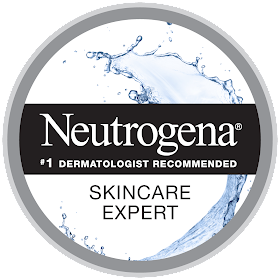 Lead makeup artist for Maybelline Canada, Grace Lee creates this look using the following. On the lips; Colour Sensational Vivid Matte Liquid in shade possessed plum. The second focus was on the brow; using Brow Drama Pro Palette and a coat of Brow Drama Mascara in transparent. What are your thoughts so far on the makeup looks from Toronto Fashion Week for Fall/Winter 2016?